Take a deep breath. Now take a shallow one. Did you hear that sound? Did you notice that whether you inhale deeply or barely move your diaphragm you can only take one breath at a time? It’s such a great reminder that we too are only meant to take one step at a time. Oh, if I could tell you how many times in my own life I have tried to cram everything on “my” agenda into one moment, this blog would be far too long, but what about God’s agenda? What about what He wants? That thought wasn’t always on my radar, yet I’m happy to report that I am slowly learning the lesson of abiding in Christ moment by moment and taking one step at a time. It didn’t come easily though. When our kids were small we traveled with a Southern Gospel trio. I truly enjoyed it, but I never seemed to allow myself to be in the moment. Don’t get me wrong, I knew there were things that had to be done that could be stressful, (e.g., scheduling, set up, sound check, communication with contact point, budget, travel time, making sure the kiddos were behaving), but that stress isn’t what I am talking about. I am talking about being present in the middle of that journey, the good and the difficult. My mind would be swirling with what was next, or what contact might come from this, or how tired I was and knowing we still had a five hour ride after breaking down the equipment. How many times did I maybe miss the Lord whisper a sweet word of encouragement to me, or a prompting for me to whisper a sweet word of encouragement to someone else? Maybe it was just to let me know that it’s okay when the mic goes out, or not to fret that my zipper is down and my kid just shoved a small bead up his nose before I went on stage. (Oh yeah, that all really happened!) Or maybe it was Him leading me in a different direction or telling me no. The point I am trying to make is life is full of choices. Which ones will you make? Will you choose to plow through with your own agenda come h--- or high water, or will you learn to enjoy God’s presence as you move through life knowing that He is using every single breath and step? You know, I have found that when I learn to listen to Him through His Word and through time spent alone with Him that it’s okay when things don’t turn out the way I think they should. Don’t get me wrong. It doesn’t always feel good, and I would be lying if I said I wasn’t heartbroken at times, BUT I know that He has my best interest at heart. I know it’s okay to slow down or be directed in a completely different direction. What about you? What is the Holy Spirit speaking to you right now? Is He reaffirming something you have on your heart? Maybe He is leading you in an area that seems foreign and a bit scary. Is He asking you to step outside of your comfort zone? Is He saying no? Is He saying yes? Only you can answer this. Today as you go about writing, traveling, wiping rear ends, figuring out a budget, working a 9 to 5, cleaning yet again the mess you straightened up an hour ago, remember to be present in that moment, and know that if the Lord is keeping you away from something you really want, it could be to protect you for something He really wants. So be present, take one step at a time...and breathe. 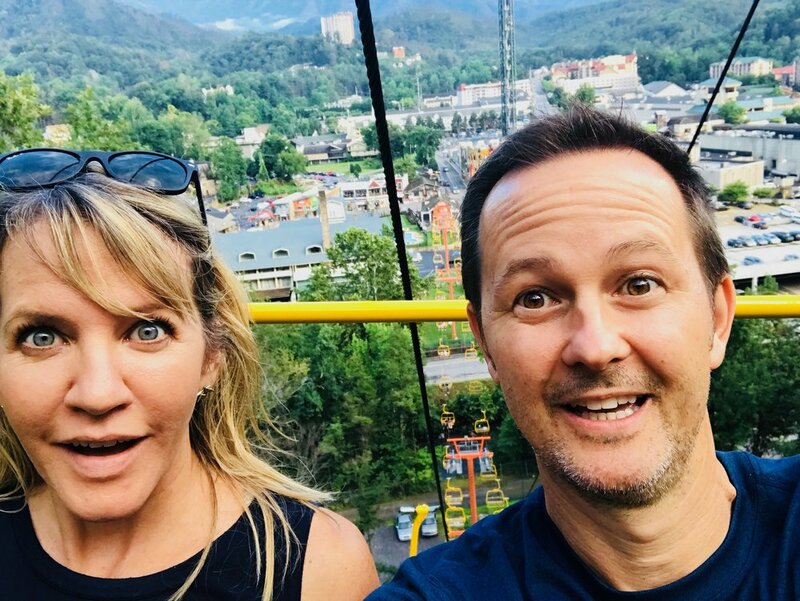 Writer, Vocalist, and lover of ski lift rides with the hubby!